Lost in Translation is everything you need. The film follows action movie star Bob Harris (Bill Murray) and newlywed Charlotte (Scarlett Johansson) as they try to navigate Tokyo. Bob is in Japan for work and Charlotte is traveling with her husband, a photographer. Bob and Charlotte struggle to connect with everyone but each other; over the course of a few days, their casual bar banter grows into an intensely charged friendship. The movie is by and large a drama, with so much of the story occurring during well-scored montages. It’s an emotional film, but not necessarily a heavy one (it has its fair share of hilarious moments). Watch it once and you’ll be captivated by the characters and their parallel stories. Scarlett and Bob are better together, more able to roll with the punches of the culture shock they experience every time they leave the Tokyo Hyatt. The pair wards off dissatisfaction with a healthy dose of humor, finding ways to laugh at miscommunications and confusion. Each character finds an escape within the friendship- Bob from his disappointments and Charlotte from her obvious penchant for over-thinking. Their soul-searching is fascinating, but their developing friendship is far more fun to watch. Lost in Translation is a great movie for times when you’re trying to figure out who you want to be and what you want your life to look like. Charlotte and Bob are each disillusioned because they need more out of life emotionally than what they have at present, but neither one can figure out how to get it. The movie is not a how-to guide for honing in on your path in life, just a story about two people trying to do the same. 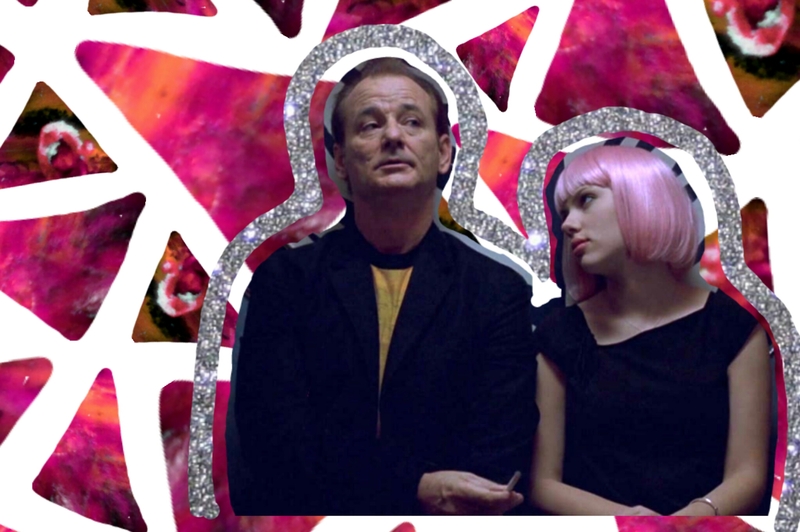 Lost in Translation acknowledges the difficult questions we sometimes have to ask ourselves, and provides a moving look at how two people work them out: by reaching out to others, and by having new experiences. Unlike so many other stories that operate with characters’ closure as their primary destination, Lost in Translation is all about the journey. The film’s ending is almost devastatingly ambiguous, leaving the characters’ fates unwritten. A line whispered by Murray’s character is said to hold the key to the story’s real ending, but this line is unintelligible on film. The first few times I watched the movie I was desperate to know what had been said; one sentence might explain whether or not these characters I’d come to care for would be okay. Plenty of people are convinced that they’ve found out this beautiful secret, but every interpretation I’ve seen of the mystery line is different*. I’ve accepted that I’ll never have any closure when it comes to the ending of this film. I have my own theories about how Bob and Charlotte’s stories end, but I won’t share them here. The ending you believe in is just as interesting as the film itself. *Vulture has compiled an amazing list of theories about the movie’s final line. Be sure to check it out if –and only if- you’ve already seen the film. Thank you, Vulture.